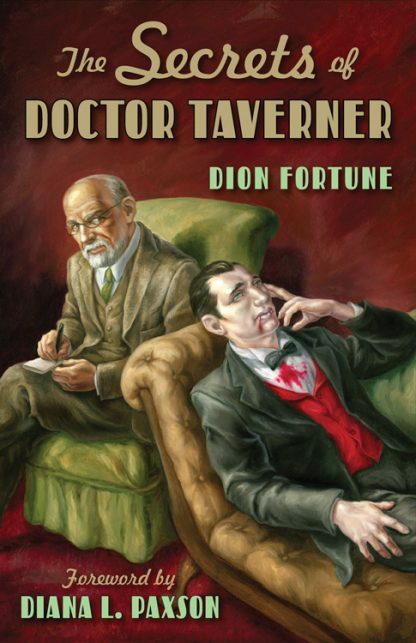 Death hounds, shape shifters, and vampires are among the patients treated by the Holmes-like Dr. Taverner and his assistant Dr. Rhodes in this work of supernatural fiction by acclaimed spiritualist and occult writer Dion Fortune. First published in 1926, the adventures of Dr. Taverner and Dr. Rhodes take readers across the marshy moonlit fields of nightfall, hunting spirits and keeping watch over souls. Suffering from vampirism? Being stalked by a death hound? Haunted by past life debts? Family under a suicidal curse? From across the countryside patients and their desperate families come to seek treatment for unconventional diseases from an unconventional doctor. His secret? Treating the diseases of the occult. Though Fortune wrote The Secrets of Doctor Taverner as her first novel, she maintained that all the events were based on true occurrences. Many believe Taverner to be Fortune�s own spiritual teacher, Dr. Moriarty, and Rhodes to be based on Fortune herself. An essential and fun read for anyone interested in the Western Mystery Tradition, Dion Fortune, the melding of medicine and magic, or just good old-fashioned paranormal fiction. Diana Paxson is a writer, priestess, and teacher who has been studying and teaching Germanic mythology and religion for nearly 30 years. She is the author of Taking Up the Runes, Essential Asatru, Trance-Portation, and Possession, Depossession, and Divine Relationships. Paxson also pioneered the recovery of traditional Norse oracular practice, described in The Way of the Oracle.